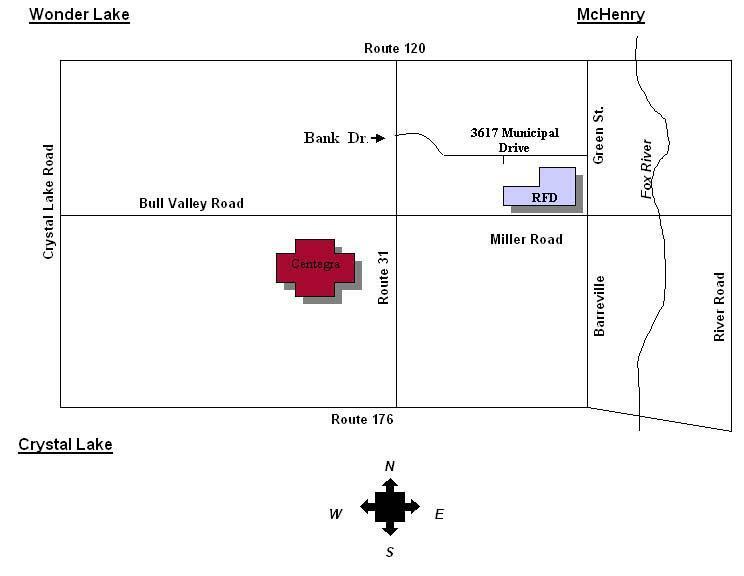 Ridgeview Family Dental is located on the corner of Green Street and Charles Miller Road in McHenry, IL. From the North: Take Route 120 to Green Street. Turn right on Green Street and follow for about 3 miles to Municipal Drive. From the South: Take Route 176 to Route 31 and make a right on Charles Miller Road. The next light is Green Street turn left on Green. The first road on the left is Municicpal Drive. From the East: Take Route 120 West and turn left on River Road. If you are coming from Route 176 turn right on River Road to Charles Miller Road. Take Charles Miller Road to stop light and make a right on Green Street and go left on Municipal Drive. From the West: Take Bull Valley Road and cross Route 31. The name changes to Charles Miller Road. The first light is Green Street turn left. Turn left on Municipal Drive. ***For GPS directions please use 3617 Municipal Drive in McHenry, IL. Please call the office at 815-344-2282 with any questions you may have.